Astra MK-1 is a basic variant of this series and guided by active radar seeker and exhibits elements of the French-built Matra R 530D and the Russian Vympel RVV-AE/R-77 (AA 12 ‘Adder’) designs. 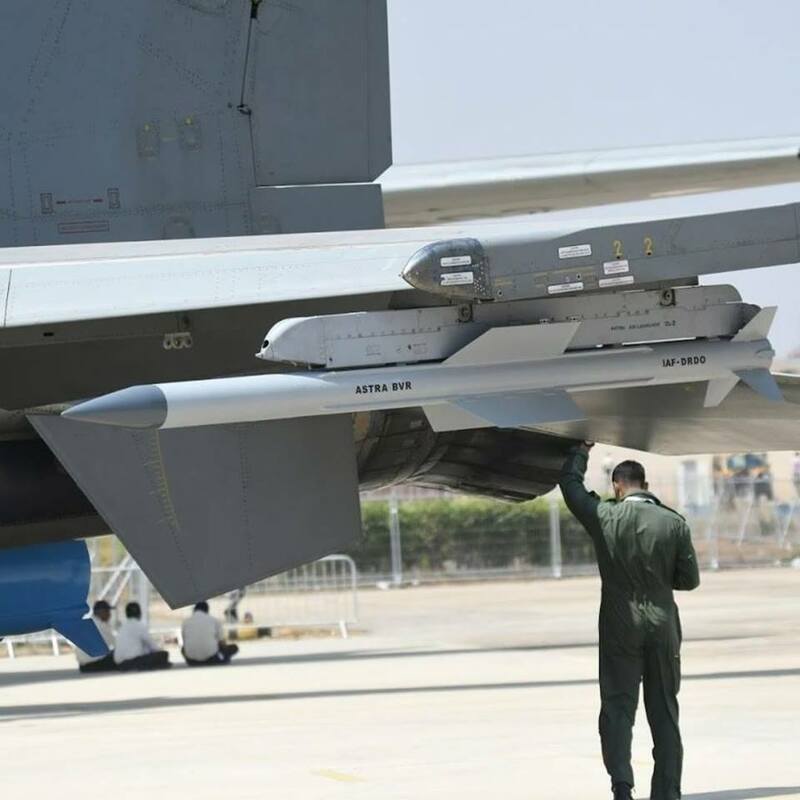 The missile is fitted with an indigenous Ku-band RF active seeker – a derivative of the Russian 9B1103M seeker used in the Vympel R-77 (AA-12 ‘Adder’) developed by the DRDO’s Research Centre Imarat (RCI) missile subsystems laboratory. The missile guidance is inertial in mid-course, with the option to use data-linked target position update from the launch aircraft and active radar guidance in the terminal phase which gives an effective range of 80km head-on at an altitude of 15 km.